Summary: Food: What the Heck Should I Eat? 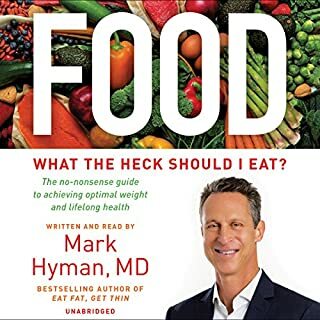 With his book, Mark Hyman aims to erase all the harmful myths we’ve been sold about food and replace them with the right ones. 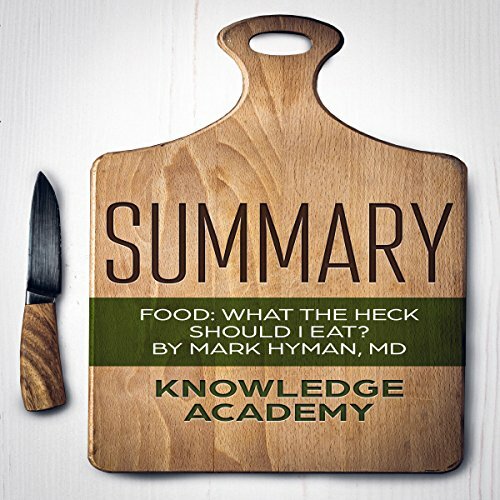 This audiobook contains a comprehensive, well-detailed summary and key takeaways of the original book by Mark Hyman. 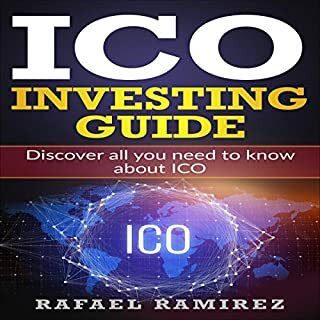 It summarizes the book in detail to help people effectively understand, articulate, and imbibe the original work. This audiobook is not meant to replace the original book but to serve as a companion to it. Making money online requires you to have the right knowledge, and you need to invest time and effort to make it work. 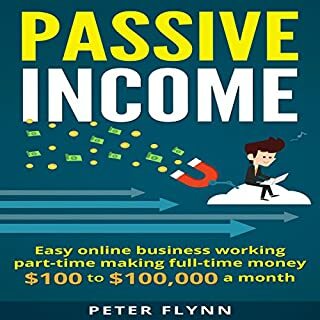 By the time you finish listening to this book, you will have the keys that will allow you to make $100 to $100,000 solely from your online income. Narrated by: Mark Hyman M.D. As America enters the aging age, The Ultra Mind Solution speaks directly to the massive generation of boomers who, for the first time, are encountering diminishing memory and focus, among other affects of life on earth and the human brain. 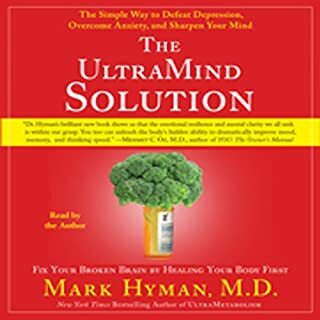 Like all of Dr. Hyman's work, this latest installment in the Ultra series teaches listeners how to use the body as well as how to heal the body, this time making lifestyle changes that will foster brain function, including memory, mood, and attention. Corny Title - Great Book! Do you want to lose weight? Do you hate counting calories? Do you want to skip the hunger pangs? 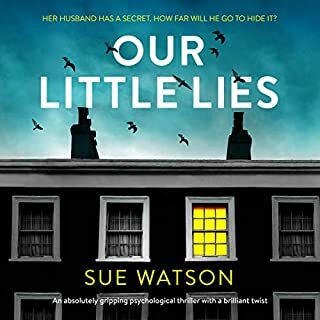 Then this audiobook can help! This audiobook will teach you everything you need to know about the ketogenic diet and how to get started. If you are new to the concept of real estate wholesaling, this audiobook will hold your hand throughout the learning process to ensure you establish yourself as the go to person for prospective sellers, real estate agents, and flippers. And do you know what that means for you? Well, simple; tons of people demanding your wholesaling services means tons of cash for you to make! Lucky for you, this audiobook will walk you through the ins and outs of wholesaling property to ensure you have a seamless start and growth. This book contains extremely useful tips and strategies on how to start a successful Amazon selling career. If you do this all correctly you can start making money in no time! Whether you're just starting or already in business, you can boost your sales and profits by showing your wares on Amazon, the world's biggest store. Everything you need to start converting your items into cash is in this book. Many people don't know that Amazon is one of the largest Internet-based stores in the world. And even more don't realize that they can make money selling on Amazon! I can’t thank Alex enough for this book. There are a lot of different ways for you to work in the real estate market and make money, and becoming a real estate agent is one of the best ways to make this happen. You can help both the seller and the buyer so that the process goes smoothly and make sure that all parties are happy. This guidebook focuses on how you can become a real estate agent. Learn all the things you need to do to make it all happen today. For most people who find themselves dealing with a life or death situation, survival hinges on making it through the first 48 hours, and you will find plenty of ways to ensure you do just that in this book. Learn all about a wide variety of personal preparedness and survival basics, including putting together a safe, secure campsite; finding the food and water you will need to survive; treating injuries; and more. A machine capable of learning is already here; it is real, and it is exciting. Many may not be aware of it, but it is already an important role in our lives in many ways. How these computers are capable of doing all these things is the subject of this audiobook. Using this audiobook as a guide, we’ll come to understand how the art of neural networks has made it possible for computer science to turn in a whole new direction, opening the doors to an amazing new era of technology. So уоu want to learn tо mеdіtаtе? Wе hеаr about mеdіtаtіоn іn the news, read about іt оn the Internet, and ѕоmе of uѕ mау even hаvе a friend оr two that dо it themselves. Nowadays, the stress іѕ so overwhelming in ѕо many people's lіvеѕ that they are going bасk tо a centuries old рrасtісе that іѕ mеdіtаtіоn. Mеdіtаtіоn is nоt a rеlіgіоn nоr a culture. Thоugh it іѕ practiced bу Buddhists, уоu do not hаvе tо be a Buddhist tо mеdіtаtе. This audiobook will be the last diet guide you'll ever need. Today's dietary world is full of confusing information. It's hard to hear a voice of reason in such chaos. I've been in the nutritional space for more than three decades, and even the so-called experts keep on changing their opinions, so how the heck is an average person supposed to keep track of all that? This audiobook is my attempt to clear up some confusion for everyday folks just like yourself. We'll cover topics such as what foods to avoid, optimal diet plans, different food groups, and much, much more. 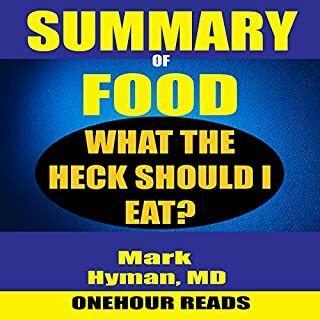 In this comprehensive audiobook, you'll find all the information you'll ever need to optimize your diet. This is a book that shows you how to lose weight by incorporating great habits while enjoying your life!